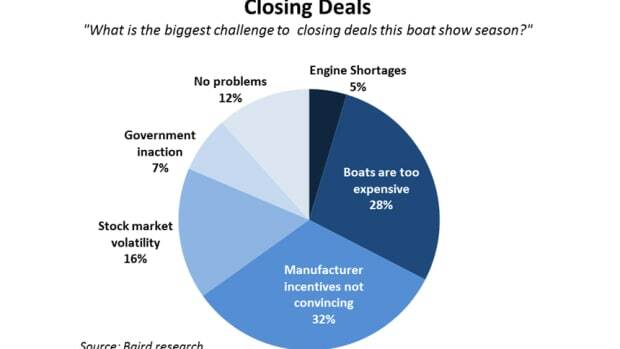 Nearly half of dealers say tariffs and trade are their top concerns in 2019. 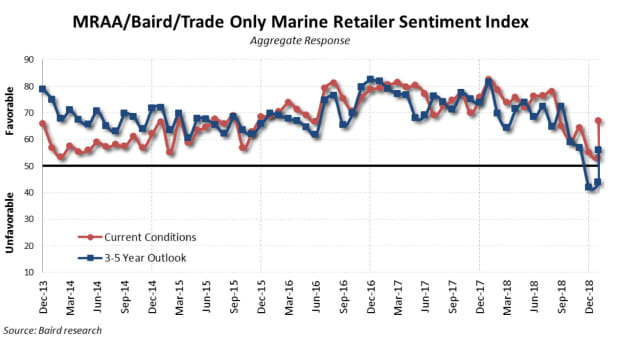 Long-term outlook also ticked up into positive territory. 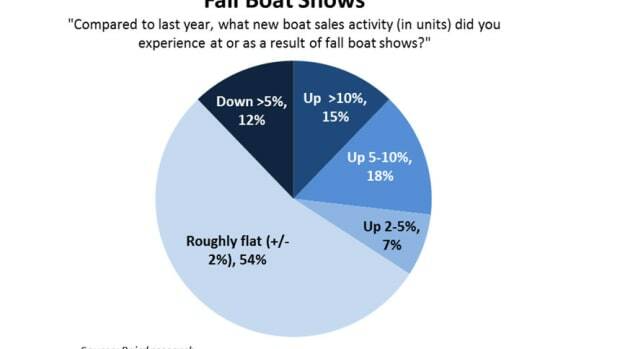 Dealers had contrasting feedback, but many said show sales were difficult to close. 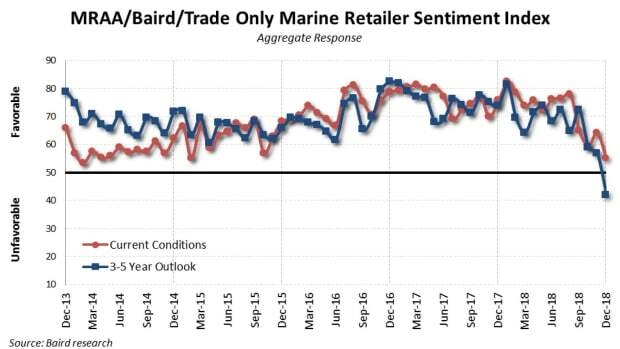 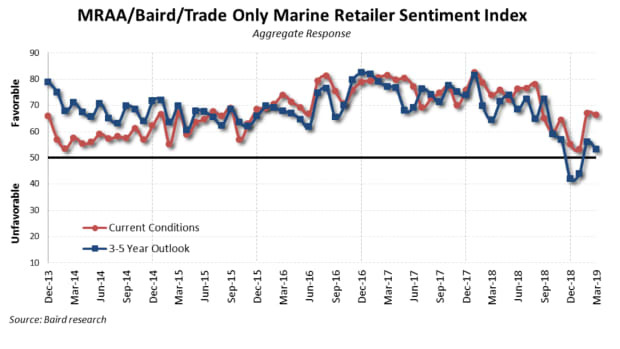 Dealer sentiment plummets to the lowest point ever in the survey. 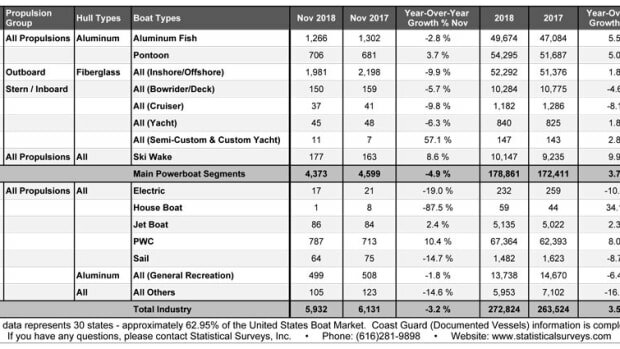 The category has seen strong growth throughout 2018. 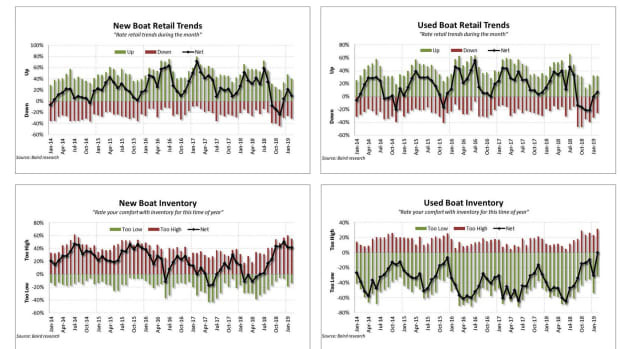 Fearing a slowdown, dealers worry about excessive inventories and poorly built boats from manufacturers. 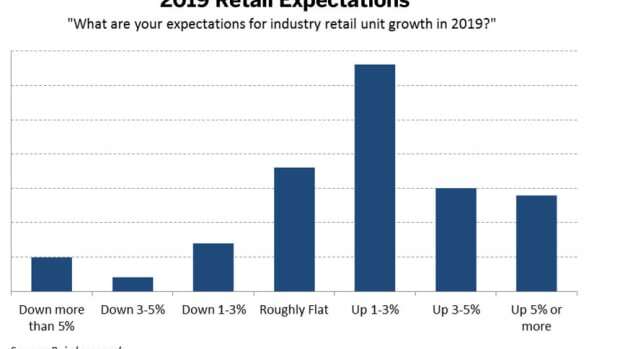 Dealers grow cautious as sentiment drops year-over-year.